Christopher Lynn Hedges (born September 18, 1956) is an Americn journalist, author, and war correspondent specializing in American and Middle Eastern politics and societies. 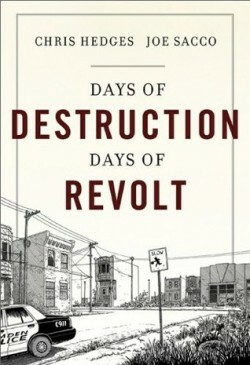 His most recent book, which he wrote with the cartoonist Joe Sacco, is “Days of Destruction, Days of Revolt” (2012). Hedges and Sacco, who illustrated the book, reported from the poorest pockets in the United States including the Pine Ridge Indian reservation in South Dakota, Camden, New Jersey, the coal fields of southern West Virginia, the nation’s produce fields and in the last chapter from the Occupy encampment in Zuccotti Park. 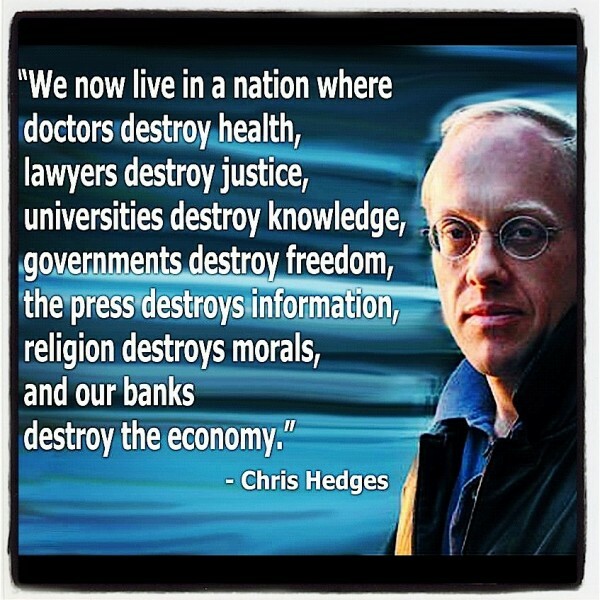 Chris Hedges is currently a senior fellow at The Nation Institute in New York City. He spent nearly two decades as a foreign correspondent in Central America, the Middle East, Africa and the Balkans. He has reported from more than fifty countries, and has worked for The Christian Science Monitor, National Public Radio, The Dallas Morning News, and The New York Times, where he was a foreign correspondent for fifteen years (1990–2005). PHAWKER: Before we get into the book, and without getting into too much excruciating detail because I do want to talk about the book, could you speak a little bit about the events surrounding your graduation speech at Rockford College in 2003? CHRIS HEDGES: You can watch it on You Tube and, in essence I denounced the war and the reaction from the crowd was quite hostile. They cut my microphone twice. People were jeering and shouting. At one point the crowd stood up and started singing “God Bless America” and after 18 minutes two young men from the graduating class actually climbed up on the podium and tried to push me aside and I was escorted, by campus security, off the platform before the awarding of diplomas and then Fox News and all the right wing trash talk media got a hold of clips of the home video and they just looped them. They ran them every hour for days and just sort of lynched me, and the Times was put under pressure to respond, and they responded by issuing me a formal written reprimand which, under Guild rules, means that you just issue the employee a reprimand and then when they violate that warning again you have grounds to fire them and I left the paper before they could fire me because the only way to keep my job would have been to stop speaking out against the Iraq War. PHAWKER: You recently came out publicly as a socialist, which is obviously the great Right Wing bugaboo these days. If you could just lay it out in broad strokes in defense of Socialism and why you embrace it and maybe truth squad a little bit the American Right’s misrepresentation of it in this country, especially in the media. CHRIS HEDGES: Well, I lived for a long time in Europe so the idea of being a Democratic Socialist is not a particularly radical notion. It just means fairly heavy taxation and fairly strong social services. When I was in Switzerland there weren’t any homeless, the elderly were taken care off. It’s one of the best healthcare systems in the world which everyone has access, too. And taxes are high. As high as 50%, but it is a society where everybody gets taken care of. That really is for me far more humane and far healthier for the longevity of the nation. I also lived in Germany where the fundamental questions that German’s ask is, ‘What do we need to do to make sure this is a great country fifty years from now?’ It’s a question we’ve got to ask, so I think because of the amount of time I spent in Europe, and because I have seen what these governments can do in sort of lifting up the underclass in particular, that’s why I describe myself as a socialist. PHAWKER: Everybody taken care of — there’s just something sick and wrong about that. 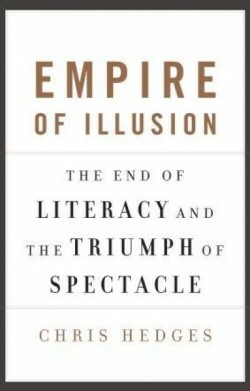 Moving ahead to the book, it seems to me that basically the premise is that unfettered capitalism is pitiless and destructive, knowing no patriotic loyalty or moral obligation, and it leaves behind these dead zones of depleted resources, toxic environments, diseased and dying peoples in its wake, in its relentless march across the globe in the pursuit of limitless profits. And now the things we used to do to the Third World have finally come home to roost. And that’s essentially what you’re doing is documenting that fact. You went around the country to these various places, to these dead zones here in the United States. Would that be fairly accurate? 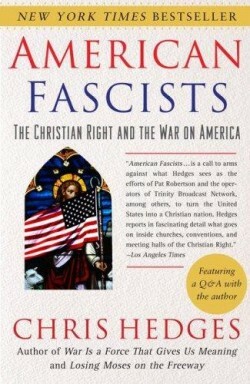 CHRIS HEDGES: Yeah, that’s a pretty good summary. PHAWKER: Let me start with the Native Americans. It’s often said that slavery is America’s original sin but it’s pretty patently obvious that the genocide of Native American’s is America’s original sin. What has that left behind? What did you find when you went out to Pine Ridge Reservation? CHRIS HEDGES: It’s extremely important, number one, this whole concept that you can regenerate societies through violence which is what we’re trying to do even to this day in countries like Afghanistan and Iraq. It’s also destroyed competing ethics, competing ways of organizing societies because the organization of Native American culture was very different. It was a communal culture. It recognized the natural world as sacred. It didn’t make a distinction between the natural world and the human world. People who hoarded goods and accumulated goods within the tribe were despised and those leaders who were most respected gave away everything they had. Everything was shared. That’s why Marx and Engels looked so closely at the Iroquois when they started formulated their ideas of communism. So I think that not only was it a matter of physically eradicating an indigenous population and seizing all their land and destroying their food source, which were the buffalo herds. By the early 19th century 95% of indigenous communities had been wiped out from disease, but it was also about challenging that ethic. And I think that whole sort of demented vision of unfettered capitalism and exploitation where you know no limits is now coming back to haunt us all because these are the first sacrifices and, you know, in essence we’re next. There’s no impediment to corporate power. You know, I’m not a Marxist, but as Marx said they become revolutionary forces where they just in essence cannibalize countries because they don’t know limits. It’s all about orderly or short term profit and that’s the only thing that matters. And they’re quite happy to commodify human labor and commodify the natural world until it’s lost or collapsed and that is what’s happening. PHAWKER: Talk a little bit about what you found in Camden. CHRIS HEDGES: Well Camden is sort of the poster child for post-industrial America. You have, in most urban centers, tremendous decay but some parts of the city still function. You’re in Philly right? CHRIS HEDGES: Well, north Philly’s a mess but Philly as a whole city hasn’t gone down. I mean, in Camden the whole city went down. Understand, I pick the worst examples to illustrate my point. But there’s nothing left. In Camden as a center of industrial activity in the mid-nineteenth century in the shipyards alone they employed 36,000 people. It’s all gone and it’s not coming back. It’s an example of what corporations, that are not regulated and controlled, will do and are doing. We went to the poorest pockets of the country on purpose and Camden is illustrative of how far they will push when there are no impediments and no ability to push back. PHAWKER: What about Welch, West Virginia? CHRIS HEDGES: Well in West Virginia, again, it’s that commodification of the natural world in the effort to extract coal. They don’t want to dig down to get to the coal seams anymore. They just blow the top 400 feet off of mountains, poisoning the water. They use these gigantic bulldozers, they call them draglines and they’re 25 stories high, to extract the coal and it’s all mechanized. By the time they’re finished there’s nothing left to these mountains. You know they pollute the soil, they pollute the air and you can’t reclaim it. You know, these are the lungs of the eastern seaboard; much of the headwaters for the eastern seaboard come from here. It’s just suicide. You can’t get an understanding of how vast the devastation is until you fly over it. It’s heart wrenching. You just see hundreds of thousands of acres of wasteland, and for what? So we can send it off to coal-fired plants in Ohio and coal, the way you burn it, is depleted very quickly. I mean it’s just insane. And of course the people there are just trashed. I mean, here you have these natural resources which are extracted from this area and it’s one of the poorest parts of the country because none of that money goes to the inhabitants that live there. These old coal camps are in abject poverty. These old houses are abandoned, they burn down, there’s just chimney’s amongst charred embers. And again, it’s another sacrifice zone. It’s another window into how far these corporations will push when you don’t control them. PHAWKER: What did you find in Immokalee, Florida? CHRIS HEDGES: Well, Immokalee is the perfect corporate state because workers are utterly stripped of their rights. They’re undocumented, they can’t unionize and what happens is you have these coorporate slave operations where workers are held against their will. They are kept in debt peonage, often times behind wire. Literally barbed wire. They’re beaten. Their families are threatened if they report it to authorities. They’re exposed to all sorts of chemical intoxication because of the pesticides. There’s underaged kids working. You know the race to the bottom, as Bernie Sanders said, Immokalee is the bottom, so it’s a kind of look at how far corporations will go to extract profit and what they will do to human beings to extract profit if they can. PHAWKER: What you describe, it just sounds like feudalism and that seems like where we’re headed? CHRIS HEDGES: Yeah, it’s a kind of neo-feudalism. It’s an oligarchy class, rapaciously wealthy and rich and predatory and has two thirds of the country hanging on by their fingertips. I mean, we’re already pretty much there. I mean, read the statistics in terms of poverty and food stamps, unemployment. Roughly 20% of the American work force is either unemployed or underemployed at this point. There was an article in the New York Times a couple of days ago that said even those of the middle class who have gone back and found work have jobs that pay salaries about 50% of what they had before so if you were making $45,000 a year, you’re now making $20,000 if you can get a job so yeah, it’s kind of global neo-feudalism where workers around the globe are pitted against each other and, in order for the American worker to be competitive in this new global market place, they have to be competitive with workers who are making 22 cents an hour in some sweatshop in Bangladesh. PHAWKER: Who is globalism good for? CHRIS HEDGES: It’s good for corporations and it’s bad for everyone else. 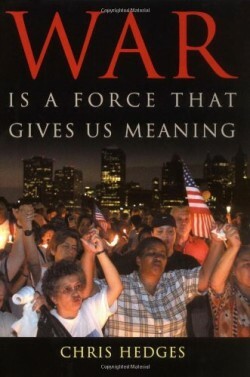 It has created a politically and economically powerful global elite. But it’s very, very bad for workers. You have a thin managerial class, you know, the kind of thing you want to fly over to India and write about, but what you’ve got has replicated the structure that Orwell, in his book 1984, described. You have the inner party which is like two to four percent. You have the outer party, which is corporate managers at twelve to fourteen percent and the rest are of us are proles. PHAWKER: How about the dismantling of trade unionism in this country? That was really the last bulwark against this unchecked corporate power and influence over American life. CHRIS HEDGES: Well I would say unions, yes, but radical movements. You know socialism was a powerful movement in this country before World War I. We had seventy socialist mayors. Eugene Debs, in 1912, polled six percent of the vote; 900,000 votes. And that was really destroyed by Wilson in the aftermath of World War One. So unions were important, but more importantly there were a series of radical movements. The Wobblies, which were of course a union, but a strong anarchistic, socialist, communist; all of this was obliterated and the liberal class was disemboweled in the name of anti-communism and that included unions and that’s why we’ve been left so defenseless. I spend a lot of time in Death of the Liberal Class laying all that out. PHAWKER: Let’s talk about Occupy. Is this a blip on the screen? Is this the beginning of something? CHRIS HEDGES: Yeah. You know the elite has retreated into the equivalent of the Forbidden City or Versailles. They’re utterly out of touch with American suffering. You saw it today [in Congress] where they’re cutting food stamps, where they’re not extending unemployment benefits for hundreds of thousands of Americans. And the corporations know only one word, which is more. So then they push and push and push until there’s a backwash. What will it look like knowing those kinds of movements? Will it look like Occupy? Will it be called Occupy? That I don’t know. But the one thing I’m certain about is that there will be a reaction. PHAWKER: Even given your clearly stated positions on all these things, were you not a little taken aback at how extreme and flat out violent the response was to Occupy? CHRIS HEDGES: No, I wasn’t surprised because the last thing the corporate state wants is a mainstream movement and what frightened them was that Occupy, in what it articulated, was reaching the mainstream. That’s why when you went into Zuccotti Park on the weekend you found mothers and fathers from New Jersey pushing their strollers up and down the sidewalks and that was terrifying to the corporate state. That’s why they shut it down. PHAWKER: Where is Occupy at now? CHRIS HEDGES: Well you have residual pockets that are hanging on. They’ve been knocked off balance, of course, and that was the intent but the engine of mass movements finally doesn’t rest with resistors to the ruling class. And since they’ve not responded rationally to the economic and political crises, and have responded only through force that’s a guarantor that not only is the movement not dead but it will be resurgent. PHAWKER: Are you still closely associated with Occupy? CHRIS HEDGES: Yeah. I’ve never described myself as a member but I just did an action in Zuccotti Park the other day and I still have very close contact with Occupy. I try not to get too involved in the internal politics. I’m more interested in Occupy Your Home, Stop and Frisk, Occupy the FCC, confronting Jamie Dimon, these kinds of residual acts of resistance are key. PHAWKER: Let’s talk about solutions to the extent that there are any. Does nothing change until campaign financing is reformed? Until private money’s taken out of it? CHRIS HEDGES: No, money is not going to get taken out of it because corporations control the political process. The fundamental problem is that there is no way to challenge corporate power through formal mechanisms of power. It can only be challenged from mass movements at this point. This entry was posted on Wednesday, July 18th, 2012	at 8:37 am	and is filed under News	. Responses are currently closed, but you can trackback from your own site.